More information about numerical aptitude tests. More information about verbal aptitude tests. 1) Which figure completes the statement? 2) Which figure completes the series? 3) Which figure completes the grid? More information about abstract reasoning tests. 1) Which group of shapes can be assembled to make the shape shown? 2) Which pattern can be folded to make the cube shown? More information about spatial ability tests. 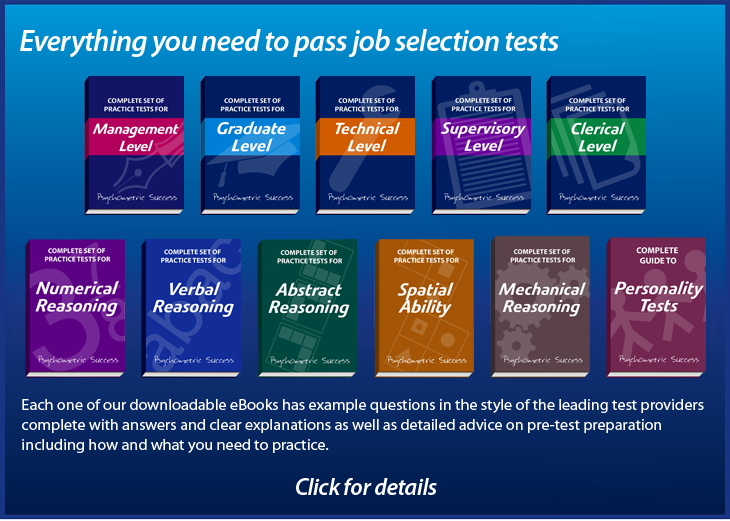 More information about mechanical aptitude tests. Increased cost-savings - no printed material is needed. Increased security - test data can be easily encrypted. Increased speed - scoring and interpretation are done immediately. Increased standardization – question presentation is uniform.